Nina Antze is a botanical artist, quilt maker and teacher living in Sonoma County. She has a degree in Fine Art from San Francisco State University and has a Certificate in Botanical Illustration from the New York Botanical Gardens. Her quilts have won numerous awards and her botanical paintings have been exhibited in New York, Filoli Gardens, the Huntington Library and the San Francisco Botanical Gardens. She teaches drawing classes and workshops throughout the Bay Area and in the Botanical Illustration Certificate Program at Filoli Gardens. She works in colored pencil, graphite, watercolor and fabric. Nina is a member of the Northern California Society of Botanical Artists, Botanical Artists of Southern California, Guild of Scientific Illustrators and the Colored Pencil Society of America. A professional ornithologist for more than 40 years, Dr. Jeffrey Froke has focused his career on the protection of wild birds through field research (e.g., Mexican parrots), teaching, and preserve management across the United States and Central America. Whether as a park ranger, wildlife warden, university lecturer or conservation executive — including several years traveling and working with Roger Tory Peterson — Jeff remains dedicated to connecting people, young and old, with the birds in their shared neighborhoods — like Pebble Beach, Monterey and Pacific Grove, for example. 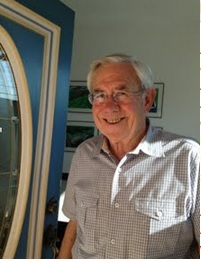 Jeff, who trained at Humboldt State University, University of Hawaii, Scripps Institute of Oceanography, UCLA and Harvard, is a life member of National Audubon Society, past charter trustee of Pacific Seabird Group, and emeritus member of the American Ornithologists’ Union and Cooper Ornithological Society. Jeff knows what makes birds tick… and fly and dive and sing! Dana Goforth has been teaching art to children since 1989. She is committed to the development of the creative spirit and the education of tools needed to achieve. Focusing on confidence, decision-making skills, and the sense of achievement in every student, Dana’s curriculum includes introduction to a wide variety of materials. She often introduces art from around the world by incorporating elements into her teachings. Dana began working in clay at a young age, throwing her first teapot at 10. She graduated from San Francisco State with a degree in conceptual arts/computer animation. But the draw of the ceramic studio was too great. After another year focusing on sculpture, she attained a dual degree in Creative Arts. Her ceramic work has been exhibited nationwide and she continues to write children’s books with a magic realism theme. Ashley Gora obtained her MBA and MAIEP from the Middlebury Institute of International Studies at Monterey, a renowned for its emphasis on languages and international studies. Originally from the Chicagoland region, she developed a desire to learn Spanish at a young age and started taking classes when she was in middle school. She continued to takes classes throughout her high school and college years, and combined this with immersive learning and work opportunities abroad in Spanish-speaking countries. Ashley taught middle school English in Spain to native Spanish speakers, tutored high school Spanish, and tutored intermediate college Spanish during her undergraduate years at Lake Forest College in Illinois, where she received a dual Bachelors in International Relations and Spanish. At Middlebury, she took advanced Spanish content courses and she took a course in English-to-Spanish consecutive interpretation. Ashley's love for Spanish also caused her to develop a passion for Latin dances like salsa, which she helps teach in the community every week. She is excited to be teaching a Spanish summer camp for middle schoolers this summer in addition to co-coordinating a Model United Nations summer camp! Marie was classically trained at the California School of Arts and Crafts in Oakland and the Choinard Art School in Los Angeles, and went on to hone her skills at Monterey Peninsula College and Hartnell College. She has worked with famed sculptor, Richard MacDonald (metal sculpture) and Pearson Design (retail design). She has been a muralist, ballet program director and, most importantly, a teacher. Through the Carmel, Pacific Grove and City of Monterey, she has taught outdoor painting, oil and acrylics, water color and colored pencil applications to both adults and children. She has also served on the Board of Directors of the Pacific Grove Art Center. The Lyceum is pleased to announce that Marie will be a regular art teacher in our arts programs. She is a long time resident of Pacific Grove. A native of San Francisco who worked in the field of Artificial Intelligence, Jerry Gleason has been helping us at the Lyceum since 2005. He was educated at Stanford University in Physics and Computer Science and co-founded Machine Intelligence Corp. with three colleagues from the Artificial Intelligence Center at SRI. He retired in 2005 as a Sr. Engineer / Scientist from Hewlett Packard’s corporate electronics laboratory in Palo Alto. At the San Jose Technology Museum he helped create and judge the annual San Jose Tech Challenge for a dozen years. In 1989, he designed and built a permanent attraction for the museum called the Alphabot (Vanna), an interactive spelling robot. For the past six years, Jerry has been on the Board of L.I.F.E. Inc., a non-profit group that assists children in the East Salinas area with tutoring, especially in the areas of math and science. Jerry serves on the Church Council for The Church of the Wayfarer in Carmel, where he recently managed the installation of a state-of-the–art multimedia platform; and is a member of is a member of the Carmel Foundation Photo Club. The Lyceum is fortunate to have Jerry as a teacher and advisor. Retirement for Jerry has been a quest to find ways to give back to the community using the talents he has accumulated. Thank you, Jerry!! Lisa Handley is a collage artist, writer, blogger, instructor and SoulCollage® facilitator. She handcrafts her Plumeria Papercraft notecards sold locally, on Etsy and by custom order, and one of her designs was featured in Better Homes and Gardens Holiday Crafts. She offers many creative classes and workshops for children and adults. Lisa discovered Seena Frost’s expressive, insightful SoulCollage® process in Community Hospital of the Monterey Peninsula’s Healing Art program and was inspired to train as a facilitator of SoulCollage® and the MeCards4Kids™ adaptation. Along with her passion for the arts, Lisa loves nature and enjoys beach walks and family hikes. Julie began her studies at the University of Cincinnati, Ohio, and completed her degree in Illustration at the Academy of Art in San Francisco, CA. She continues to explore her personal art journey in Pacific Grove while sharing her love of art with young folks. Erin is a member of the Guild of Natural Science Illustrators and the California Native Plant Society. She has worked with major museums, small businesses and noted media outlets nationwide. When she's not painting, teaching or working at the computer, she can be found puttering in her backyard garden or hiking in coastal forests. Her dog-eared copy of the Reader's Digest Guide to North American Wildlife sits prominently on her desk. Glenn McGovern has been sculpting stone for eight years after attending formal training at the Pacific Art League in Palo Alto and the School of Visual Philosophy in San Jose. To date, he’s completed twelve pieces in marble, limestone, alabaster and soapstone. His focus is abstracts, torsos, bowls and bas reliefs. In 2017, his piece titled Boudoir, which was an abstract torso carved from Italian translucent alabaster, was shown at the Dali Museum in Monterey. Sharon Nelson is a retired public school teacher and guidance counselor. She is a Fellow of The California Arts Project, and past member of California Music Teachers Association. She has developed classes for the Lyceum's Squarefoot Gardening and Botanical Art program. Currently she teaches Pocket Sketching, Nature Journaling, Creating Herbariums, and projects related to garden arts. She is enrolled in the Botanical Illustration Certification program at Filoli and gives private piano lessons in her home studio. Dina Santos earned her MFA in Photography from San Jose State in 2008 and a BA in Studio Art: Photography in 2004. She is an artist, photographer, and educator. Her photographs have been shown in numerous galleries across the US, and most recently were apart of a group exhibition, Artist Teaching Art, at the Center for Photographic Art in Carmel, CA and featured 11 Monterey County Photography Teachers. Dina is currently an Adjunct Photography Instructor at Hartnell Community College. Her enthusiasm for the medium and passion about educating others permeates the classroom. She has over 8 years of teaching photography to a variety of students from all levels of life and is passionate about educating others about this powerful medium. Claudia Stevens is a botanical artist, botanist and teacher. She holds a Master’s degree from CA State University San Jose, a BFA in printmaking, with background in botany and Scientific Illustration. Claudia has taught drawing, painting and clay sculpture in the public schools since 1990. She has collaborated with botanists and biologists, illustrating a biology book, interpretive signs, books and editorials. Her work appears in University Press’s, Sunset Magazine, Bantam Books, Rodale Press, and elsewhere. Currently, Claudia is working on a project launched and supported in part by the Creative Work Fund grant. The project is a quiet act of conservation in collaboration with a team specializing in plant ecology, anthropology and fine art; the goal of the project is to raise visibility and public awareness to the importance of our local native plants and biotic resources. Her work retails in over one hundred shops and galleries. Emily Underwood is an artist and natural science illustrator living in Carmel Valley. Her artwork reflects her enthusiasm for the natural word. She competed the Scientific Illustration program at Cal State Monterey Bay and now works in collaboration with museums, scientific researchers, publishers, and environmental agencies to create interpretive artwork and illustrations. She teaches Natural History Illustration at UC Santa Cruz, and leads various workshops to facilitate engagement with the natural world through art practice. She is currently working on a guide to understanding the landscapes of California over geologic time scales. Author, poet, collage artist, and teacher, Patrice Vecchione is the author of two works of nonfiction, most recently, Step into Nature: Nurturing Imagination and Spirit in Everyday Life (Simon & Schuster) and two collections of poetry. Patrice has taught creative writing and collage to children and grown-ups for many years. My current mediums are collage, mixed media, watercolor, woodblock, and batik. I continually experiment with new mediums to develop tools for the widest possible range of expression. Elegance of form and elements of storytelling and humor are what I value most in my own work. I am primarily a self-taught artist, with the exception of workshops that I take as often as possible. I have visited many of the great art museums in the USA and France, and constantly study the work of other artists, which I consider fundamental to my artistic training.